Joan Durdin: AM Retired Nursing Educator and author of “They Became Nurses” and “Eleven Thousand Nurses”. Terry Omond: OAM, Curator of the Calvary Medical Museum. Angela Peel: Past seamstress from Rich’s nursing uniform manufacturers. Mary Sloggett: Nurse Manager, Member, RAH Heritage and History Committee. Rose Wilson: Archivist, RAH Heritage and History Committee. Mary Collins: Business manager Wakefield St. Hospital. Care of the sick until the nineteenth century was provided by family members, self appointed attendants, and increasingly by members of religious orders. The origin of nursing as a profession commenced in the mid 1800s. In England Florence Nightingale was one of the first pioneers. She was born in Florence Italy in 1822, the daughter of wealthy English land owners, who at the time were resident in Italy . In her early years she embraced emancipation and other feminist causes. At the age of 31 stimulated by one of the first US woman doctors she joined the Army Nursing Corps in Scutari on the Crimean Peninsula . Her history is well recorded, and she is considered to be the founder of English nursing. It is likely that the uniforms in the early days of nursing (1850-1900) were based on the habits of religious orders. The clothes were designed to conform to the requirements of the times. 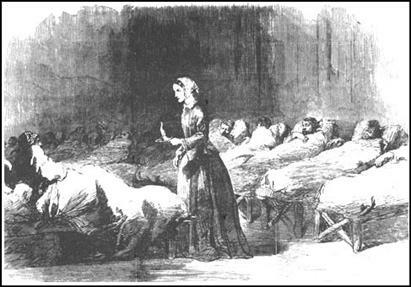 Thus during the cholera and other epidemics the visiting nurses wore a full-length dress with a cowl, mask and possibly gloves. The colours were usually sombre and dark. Later in the century white aprons were added. The hats were dark and somewhat ornate and capes of full length were used to visit outside the hospital. During the early 20 th. century white uniforms were commonly worn by trained nurses, though some Hospitals favoured a coloured uniform dress protected by an apron. At the Adelaide Children’s Hospital which opened in 1875 and was the first hospital to conduct a training school for nurses. The nurses wore a navy blue serge dress protected by an apron in winter, and a dress of Oxford blue in the summer. When uniforms of this nature were introduced in the Adelaide Hospital in the 1890s blue was the colour worn by trained nurses. In most Hospitals trained nurses wore a veil (folded square of starched muslin) as a head covering. 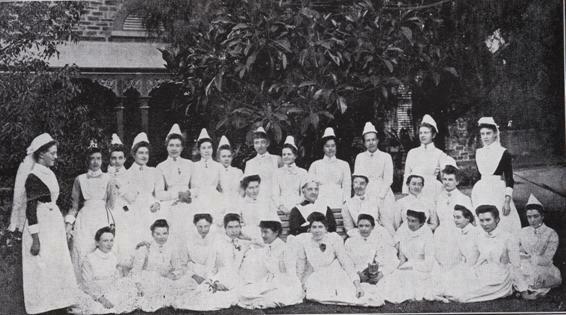 At the Adelaide Hospital a cone shaped cap was worn by trained and trainee nurses. In the 1890s streamer attached to the cap differentiated trained and trainee nurses. Early in the 20thcentury the sister’s (trained nurse’s) cap was replaced by one with a turned back brim, sometimes described as a “coal scuttle”, which was tied under the chin with a length of decorated tape. Blue (ACH), pink ( RAH ), or mauve (QEH) uniforms distinguished trainee nurses from individual training schools. They were worn with white collar, cuffs, and an apron. Most trainee nurses wore black shoes and stockings. 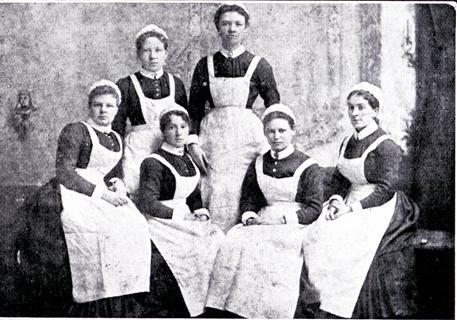 In Adelaide a well-known manufacturer of nursing uniforms was the firm of Rich’s. The proprietress was Miss. 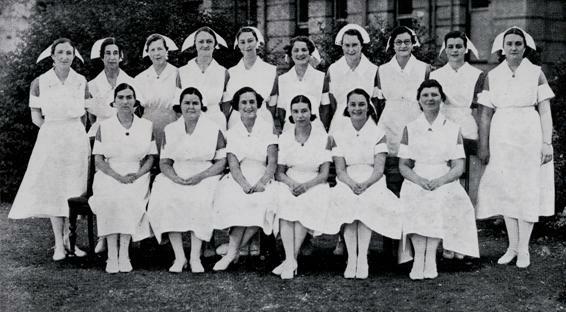 Graske and with the help of Mrs. Spriggs they and their staff provided uniforms for all the teaching hospitals and some private hospitals in Adelaide . Individual hospitals negotiated separate contracts as to colour and style. Their first factory was in Tavistock (now Frome ) street. Little changed with the RAH uniforms in hem and sleeve lengths until the mid 1950s. The late Irene Kennedy, matron from 1966-1973 suggested the lack of change was due to limited financial resources. The trained nurses changed their “fawns” for a white uniform in the 1970s and the starched collars, cuffs, and aprons were gradually phased out. The material used was Koroton, a synthetic fibre imported from interstate. The material was cut and sewn locally and in order to provide water resistance the finished uniforms were “baked” in a heated oven before distribution. As the usual means of identifying seniority disappeared with the cap, the RAH introduced a system of coloured buttons for registered nurses to assist in the identification of seniority. Male nurses were introduced into the RAH during the 1960s. They wore the “Ben Casey” shirt and white trousers as worn by the junior medical staff but were identified by chevrons worn on the left sleeve. They too had several changes over the years. The current nursing attire usually consists of a skirt or trousers and a colourful blouse. Nurses in specialised areas such as operating theatres or the ICU have distinct identifying colours. The current uniforms of all female nursing staff are of a much more simpler design than those of earlier years and often resemble those worn by office staff. Polyviscose is used for the skirts and trousers while the blouses are made from Polyester or Poly-cotton. The North Adelaide Hospital began in 1900 and was staffed by the Little Company of Mary, who changed the name to Calvary Hospital in 1916. The uniform, long blue dresses with long sleeves were worn with starched white apron. Cuffs, collars, and caps, were made at the hospital by the seamstress. There was only one small alteration between 1914 and 1930 when the uniforms changed to a box pleated dress and a small veil. John Martins had the contract to make the uniforms during the Second World War. They required coupons to supply the material. In 1968 the uniform changed to blue and white material and remained so until the training school closed in 1980. The uniforms were made by Rich’s. 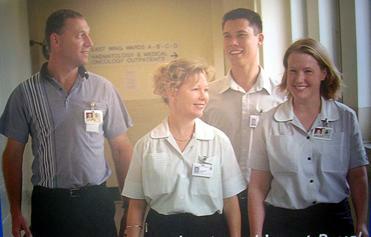 Skirts and trousers were introduced to the hospital in 1988, and are still used today. In 1906 a “walking out” uniform was introduced for nurses who went to patient’s homes. It was made of blue serge and was worn over the hospital uniform with a navy taffeta cap and lace ties. The enrolled nurse program began in 1970. The uniform was pink with white stripes. Wakefield Hospital is fully accredited by the Australian Council for Health Standards and provides a comprehensive range of highly specialised medical and surgical services with particular emphasis on orthopaedic, cardiac, neurosurgery, gynaecology, plastic surgery, general and day surgery, coronary care and general medicine. It opened in 1883 as a two story house which could accommodate 14 patients and was staffed by 2 nurses, matron and domestic staff. By 1903 and after further construction the patient capacity was 30. The hospital grew steadily and the bed capacity increased from 50 in 1938 to 123 with 30 private rooms in 1983. New building and land acquisition followed pari passu to its current state with 180 acute surgical and medical beds, private emergency and retrieval facility. 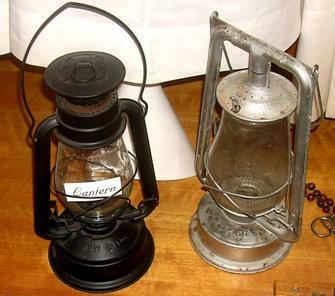 The two uniforms date from the early 1900s. 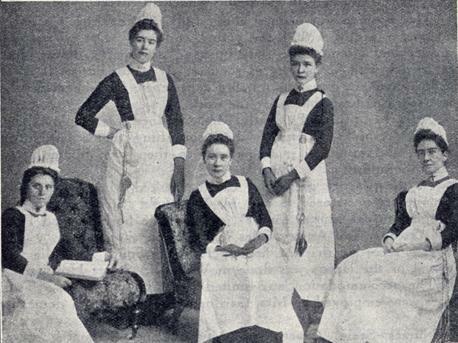 The subsequent changes in nursing apparel were similar to those in other hospitals of South Australia .